September is an exciting time for our organization as students across the world head back to the classroom for the 2018-2019 school year. We spend the summer working to enhance our program and recruit new schools. This year, ArtLink will run 150 classes in 20 countries! We know the power our programs have to empower youth by providing unique opportunities to connect with their overseas peers, gain global competency, and build critical partnerships between schools in the U.S. and around the world. This Fall, I’m particularly excited to share that we’ve been awarded a Communities Connecting Heritage Program grant from the U.S. Department of State. As one of only five awardees, we will have the amazing opportunity to work for an extended period with Nepalese and American students engaged in the arts as they explore the power of cultural heritage to empower and unify their diverse communities. Read more about this program below. We will keep you abreast of all the details of the Nepal/US partnership as the year progresses. Each year at this time, I encourage donors to sponsor an ArtLink classroom in Bridgeport or in another underserved community. I’m thrilled that as of this week, we’ve received 10 ArtLink sponsorships. We cannot thank our generous donors enough for stepping up and sponsoring a class! We’re just 4 sponsors short of our goal. 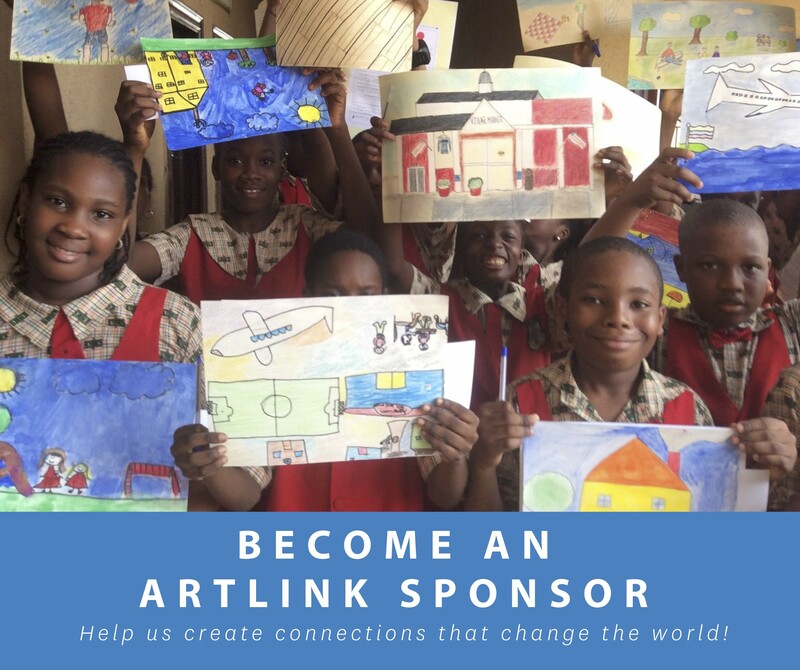 You’ll find more information below on ArtLink sponsorship, a rewarding opportunity to bring a global experience to students who wouldn’t otherwise be able to take part. I hope you’ll join us on this journey as we enter our 27th Year. I can’t wait to see what our students do this year! Creative Connections is delighted to have been awarded a U.S. Department of State grant to administer the Communities Connecting Heritage Program. As part of a cohort of grantees—and in collaboration with World Learning—we will work with students in Nepal and the USA to advance tangible and intangible cultural heritage appreciation and preservation through a unique arts exchange. 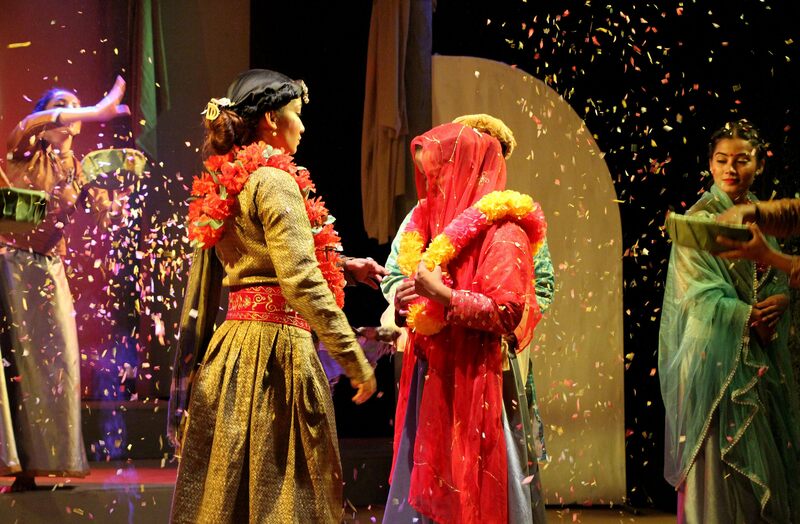 Specifically, Creative Connections will bring together 30 high school-aged participants from The Mandala Theatre in Katmandu, Nepal and the Regional Center for the Arts in Trumbull, Connecticut to engage in a creative approach to cultural heritage preservation using the power of the arts to better understand their own and others’ cultures. Program participants will explore their cultural heritage by conducting and recording oral histories with family and community members and then sharing them through the exchange of art, videotaped drama, dance, and music pieces. The exchange will be conducted both virtually through videoconference and web posting, and live through in-person visits to one another’s countries. Read more at creativeconnections.org/creative-connections-programs/nepal/. This year we are gathering videotaped interviews with select ArtLink students. This will allow partners and Creative Connections’ friends to see and hear from the student artists around the world. 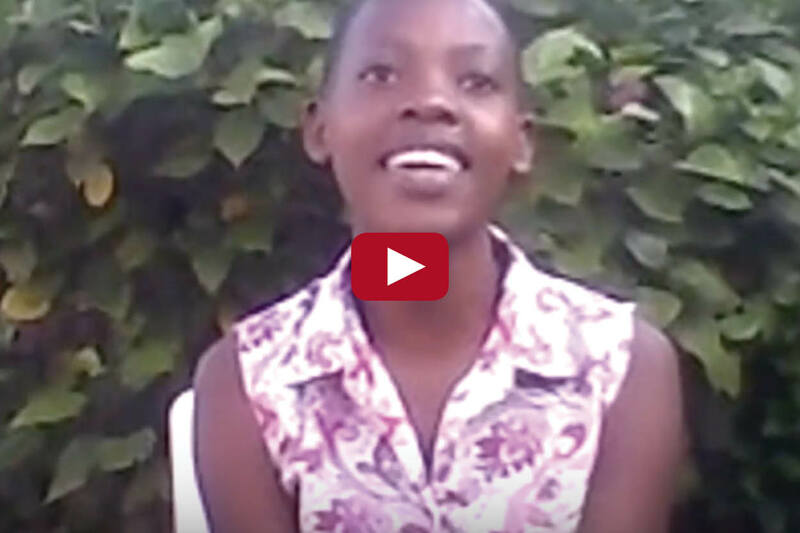 Swabrina, a Ugandan teenager, tells the story of a significant experience in her life, using her artwork to enhance her story. Watch Swabrina’s interview. 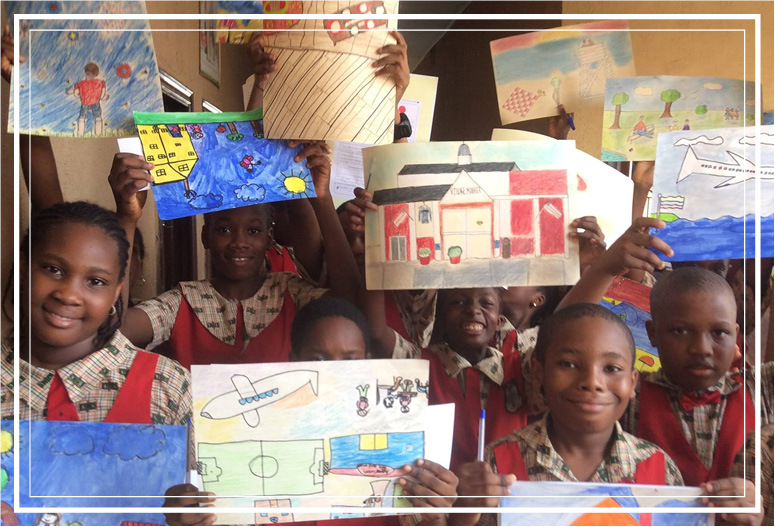 This year, you have an opportunity to impact hundreds of children around the world by becoming an ArtLink sponsor. Your sponsorship gift of $1,000 will allow us to bring Creative Connections’ programming to schools in Bridgeport and other inner-city areas. With your support, we are able to engage underserved communities, empower youth, and build critical partnerships between communities in the U.S. and around the world. We hope you’ll consider sponsoring an ArtLink classroom with a gift of $1,000. It will mean the world to the many students who are benefitted. With unbridled enthusiasm, spirit, and skill, Nathan Kiyaga helped bring Ugandan culture alive as a teenage member of the Abantu Mu Buntu performance troupe. His dancing and drumming delighted thousands of children in local schools through our 2005 International Young Performers’ Tour. Skip ahead thirteeen years and meet Nathan today, now the School Chaplain at St. Cuthbert Mayne School in Devon, England–our newest ArtLink school. 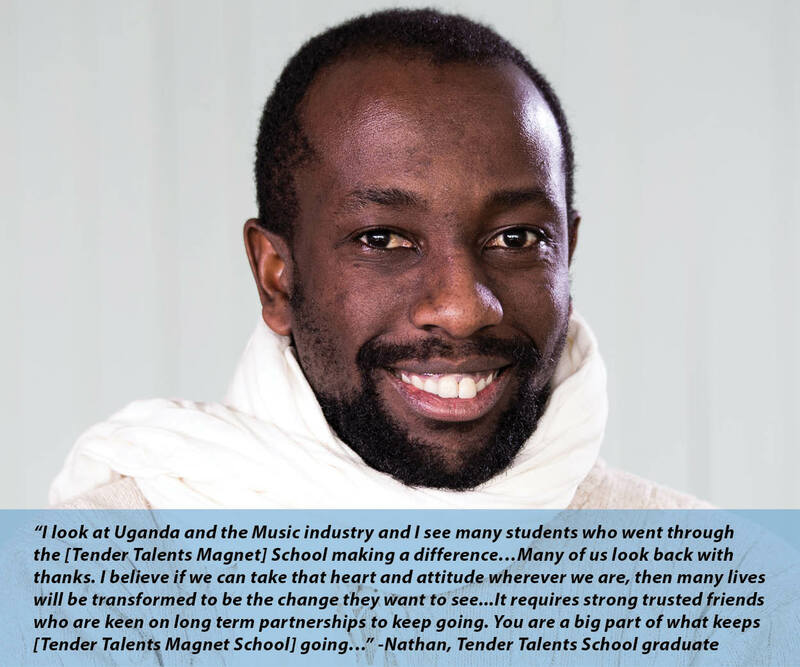 Nathan is a graduate of Tender Talents Magnet School in Uganda. Tender Talents, founded and still run by Frank and Brenda Katoola, is not only the home of Abantu Mu Buntu, but also has been an ArtLink partner school for seventeen years. 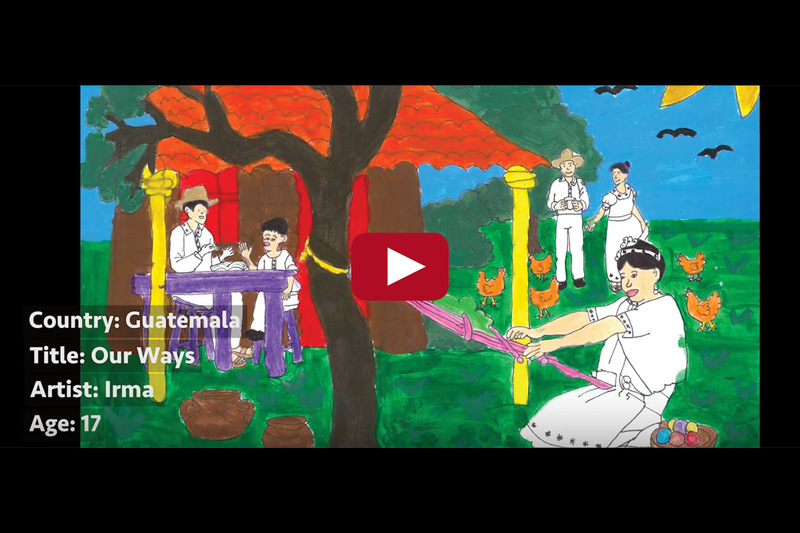 We’re excited to share this video showcasing our 2018 International Children’s Art Exhibit, “HighLight.” We hope you enjoy seeing this wonderful art from students around the globe.